Solitude is the school of the soul. Why was it Pascal who said that all of our problems come from not being able to be in a room alone? Not solely because he was an introvert, but because he was a deeply faithful man and religion not only emphasizes community but helps cultivate solitude. ‘Moses received the Torah from Sinai,’ says a classic rabbinic text, and Abravanel, the 15th century commentator, asks—why Sinai? 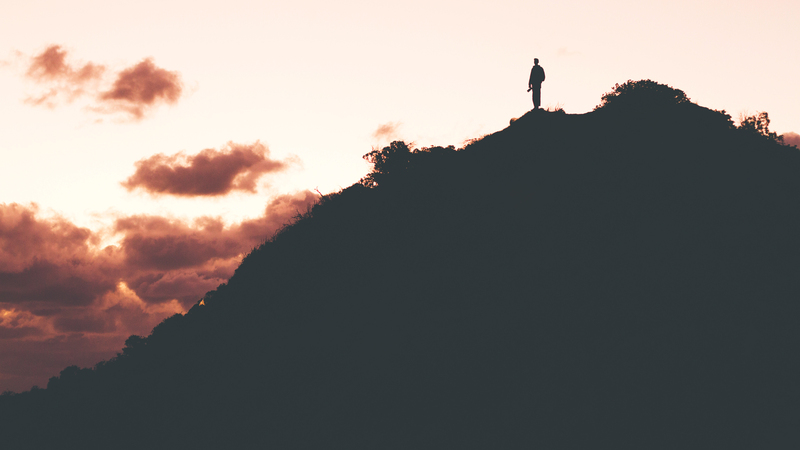 Why not ‘from God?’ His answer is not that Sinai is a synecdoche—that it stands for God—but rather that Moses needed the experience of aloneness on Sinai to be ready to receive the Torah. No mountain solitude, no revelation. Introverts people their solitude—with books, with imagination, sometimes with God. Hitbodedut, aloneness, is a traditional Hasidic practice in which the worshipper goes off alone. Sometimes he will scream, or cry, or contemplate, but it is essential that the eyes of the world do not push or pull in that moment. Influence is important, but in aloneness is freedom. Those of us who stand on the side at the party, or prefer not to go, do not devalue others. We just find that we can be truest to them when we have stored up quiet moments in the private reservoir that nourishes our souls.